TransCanada is planning to build a new 2,700-mile pipeline – that’s one third bigger than the controversial Keystone XL – to carry 1.1 million barrels of crude oil per day from Alberta and Saskatchewan to refineries in eastern Canada. The company claims that the $12 billion Energy East Pipeline is not a backup plan for TransCanada in the event the Keystone XL project falls through. While the project has received strong political support, many are concerned about the potential environmental impact of the project. 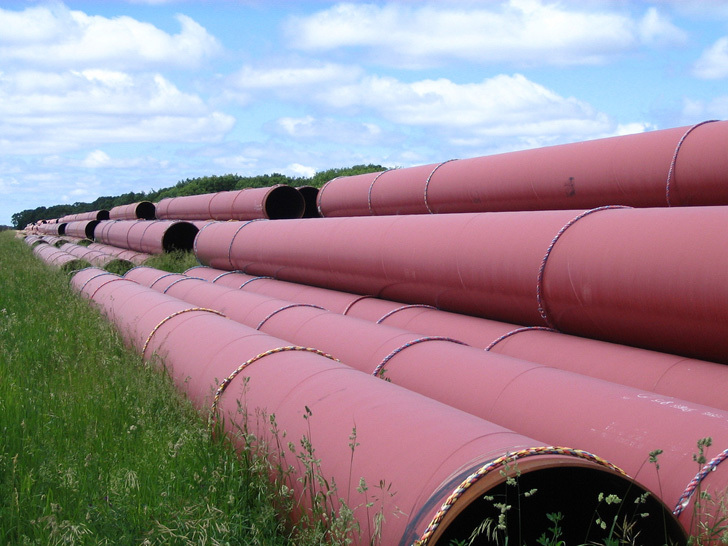 The pipeline is awaiting approval and its route is still not determined. But in order to comprehend the scale of the line imagine this: if it were to be built in Europe it would start in London and stretch all the way to Tehran and in the United States it could carry crude oil from Beverly Hills to New York City. The project’s capacity would exceed the entire oil production of Azerbaijan and could provide 6 percent of daily U.S. oil consumption. The bottom line is-the project would account for 30 percent of Canada’s total daily oil production. Canadian environmentalists strongly oppose the project. Greenpeace Canada’s climate and energy campaigner Mike Hudema claims that the public resistance against “ill-conceived tar sands pipeline projects” will once again try to focus the attention on investing in clean energy. Canadian customers have already pledged to use at least 900,000 bpd of the pipeline’s capacity. It could be operational by the end of 2017 in Quebec and by late 2018 in New Brunswick. Has there been any research about the environmental impact of traditional methods of transporting oil? I'm really curious at the gallon to gallon comparison. It would seem to me that pipeline impact is largely front end loaded and with modern restoration would be near nil vs millions of semi's and the fuel they burn, oil, filters, maintenance, tires, road congestion. Maybe I'm way off, just seems safer to have it flow. 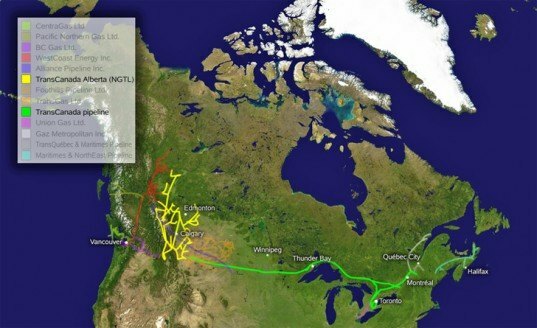 TransCanada is planning to build a new 2,700-mile pipeline - that's one third bigger than the controversial Keystone XL - to carry 1.1 million barrels of crude oil per day from Alberta and Saskatchewan to refineries in eastern Canada. The company claims that the $12 billion Energy East Pipeline is not a backup plan for TransCanada in the event the Keystone XL project falls through. While the project has received strong political support, many are concerned about the potential environmental impact of the project.